Golmaal Again (2017) - All Songs Lyrics & Videos: The film is directed by Rohit Shetty and produced by Rohit Shetty Productions & Mangal Murti Films. It stars Ajay Devgn, Tabu, Parineeti Chopra, Arshad Warsi, Tushar Kapoor, Shreyas Talpade, Kunal Khemu, Prakash Raj and Neil Nitin Mukesh. 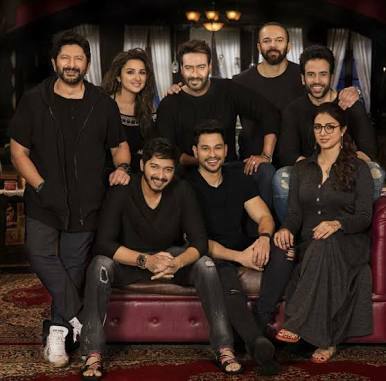 Golmaal Again soundtrack album has songs produced by various musicians – Amaal Mallik, S. Thaman & DJ Chetas while lyrics of all songs are penned by Kumaar.